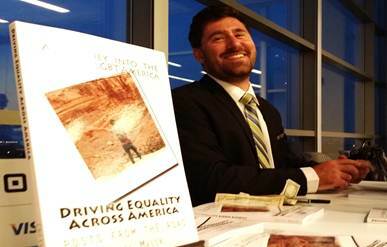 Driving Equality Across America Film Premiere A Huge Success! 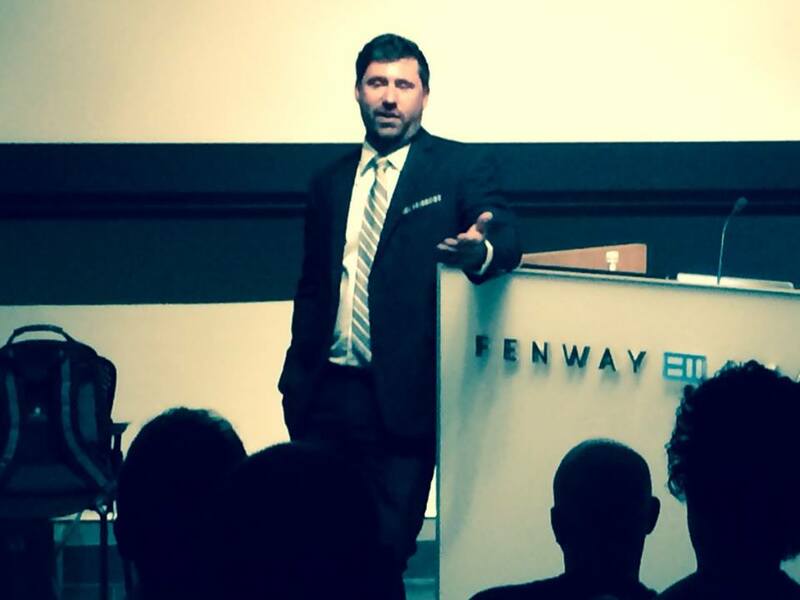 It was an honor to premiere Driving Equality Across America in front of an enthusiastic audience in Boston’s Fenway Health auditorium. To be honest, I was very nervous to see how the viewers would receive the film. It was incredible to have such a warm reaction to the movie. I was overjoyed. We started the night with refreshments and live music performed by Karen Grenier, who’s song, It Gets Better, is featured in the film. Then the audience filed into the auditorium. Former Massachusetts State Representative and current Executive Director of AIDS Action Committee of Massachusetts, Carl Sciortino, gave me a touching introduction, describing the first time we met; 10 years ago in the public gallery of the Massachusetts State House during the fight for marriage equality. It was an honor to have a hero of the LGBT rights movement introduce me (and he’s in the movie!). I said a few words about the film, the lights dimmed, and the screening began. I took a seat, listening to and watching the reactions of the audience. It seemed as though they were enjoying the film. After the movie there was a round of applause. I stood up front and began taking questions from the audience. They loved the film. I was overjoyed. For the next 30 minutes, I fielded questions and told stories about the three and a half month journey across the country interviewing LGBT people, allies, and opponents. It was clear that the audience was engaged and really enjoyed the film. After the Q&A session, I signed copies of my book, Driving Equality Across America: Posts from the Road and chatted with the moviegoers. It was a great event. I could not have imagined a better, more successful film premiere. This entry was posted on Friday, August 1st, 2014 at 3:31 pm and is filed under Uncategorized. You can follow any responses to this entry through the RSS 2.0 feed. You can leave a response, or trackback from your own site.